Vetiver oil is extracted from Vetiver plant basically from the roots of the plant; which is commonly known as Khus plant. The khus plant is very common in India and is known as a natural cooling agent. The concept of Vetiver oil is around thousands of years old, and it was used in the treatment of anxiety and stress. Talking more about Vetiver oil, the oil is extracted by steam distillation process of the root part of the plant. It has a very strong effect on the mental and emotional balance. Vtiver oil has really made a great use in medicinal purpose, and therapeutic use. The Vetiver oil is loaded with lots of benefits which are directly related to human mind and brain. The oil leaves a deep impact on the mind and helps in rejuvenating. Also, it is beneficial in the endocrine system and has the property of anti-inflammatory, antiseptic, sedative and tonic. The oil is helpful in strong anxiety and restlessness. Actually, the deep effect and strong consistency make it beneficial in using and making it a perfect oil for many disorders and stress recreation. Since centuries, the Vetiver oil or say Khus Khus oil was used by Indian Rishi and Munis (saint), to create calmness; and for Ayurvedic purpose it was used for the treatment of hormonal imbalance, and skin disorder treatment. Fact of Vetiver oil is very simple, as it is noted as to be the most soothing oil for creating calmness and silence in the mental stress and disorder. 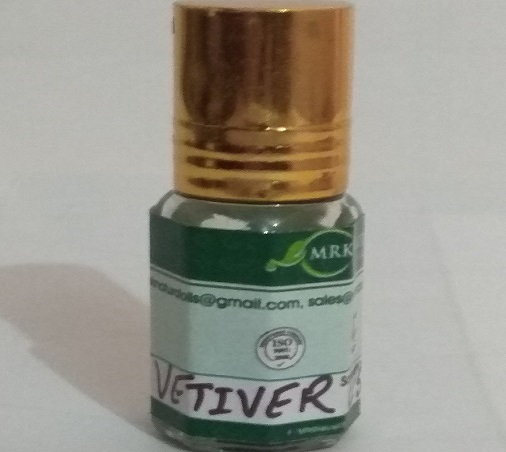 Looking, after this fact of Vetiver oil, it is still used today in Spa, as for massage to give relief from heat or scorching sunlight rays specially during summer time. Also, looking the benefit of Vetiver oil for the endocrine system, it is mixed with some foods and drinks to make the system proper and healthy functioning. The other aspect of Vetiver oil is to its cooling effect, which is used in homes for making the rooms fresh and cool during the summer. It is beautifully used on the curtains to create cool temperatures in the room and maintain the ambience of the room. It is also used in rooms to keep mites and away as it has the insect repellent property. The Vetiver oil needs to be used with all precautions mentioned by the manufacturer. Every manufacturer has their own clause and rules for their brand oil. Generally, the oil is restricted and prohibited during pregnancy and also it must be advised by your doctor, before using the oil. Talking about the application of oil on the skin, it must be tested before using. As every skin is not compatible for the oil, so a slight test of oil is a kind of precaution to save yourself from its allergic reactions. Another thing in precaution for using the oil is must be avoided from the contact of nose, eyes and ears; as it may cause itching and redness. Some components present in the oil makes it an anti-inflammatory and antiseptic oil, also makes it soothing oil. The oil takes care of the endocrine system, hormonal imbalance and nervous system. The oil gives a strong effect on skin and its treatment for sunburn and scars. You described perfectly Mr. gatik. I was little aware about Vetiver Essential Oil, but was not aware about how Uplift the Brain Stress and Anxiet. Great ! Hey do you supply Vetiver Essential Oil? I want it. I really like your article and its concept. Vetiver Essential Oil really hep in brain related issues like to reduce Stress and Anxiety. Well written kishor.